today i want...: spanish blue leather? yes please! I went to highschool with a lovely lady named Chess. We reconnected as so many people do on the book of faces! "What would you pair with these?" and I replied, "Everything!" I do so love a wedge and how can anyone resist the bright blue!? 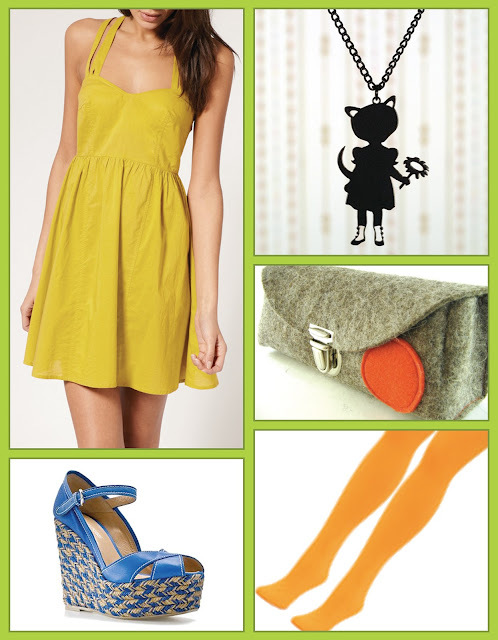 I have a feeling this spring/summer is going to be all about saturated colors for me! How about you? Hi Katie! "Did I ever tell you that you're my hero?" I have no idea if that was some joke we had or she was just being silly of her own accord, but reading it this morning made me laugh.